You must be thankful to God for bringing your partner to this world who has filled your life with loads of love and happiness. 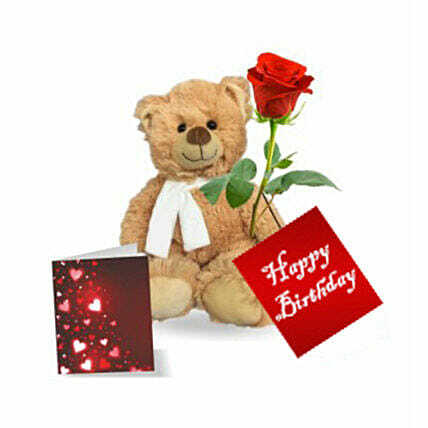 Say Happy Birthday to your partner in the cutest manner with this lovely combo of red rose, teddy bear, and a greeting card. They will be thrilled with excitement on receiving such an adorable present.